Guidelines for landscape management, built within HERCULES project, were meant to propose a valuation model that could include both stakeholders’ engagement and landscape integrated management dynamics. Heritage initiatives have been collected at European scale, with selection of 20 most significant upon 165 initial, using the method of expert assessment. A second step procedure allowed us then to sort concrete examples of collected initiatives through a global frame based on 12 issues addressing six sustainability variables (from ISO 37101 toolbox – Management system for sustainable development in communities). It is essential to understand that there is no such thing as policy measures that could be recommended in every European cultural landscape. As a result, governance solutions must be applied in context, and heritage conservation needs to be holistic, taking into account the human factors at work in the landscape as well as biophysical aspects. To assess those at landscape scale, it was thus found possible to test a qualitative Landscape Management Assessment frame, useful both to assess risks and opportunities and to be accountable to local actors, and built upon questions interconnecting ecological and socio-cultural issues. At plot size, Landscape Ecological Diagnostic aims to be a valuation model that could assess biodiversity on cultural landscapes, with an “eco-anthropological” approach using the functions of landscape structures, to qualify site biodiversity load and serve sustainable land use management. Biodiversity is a hot topic in our societies where landscape issues deals with its preservation at different scales. Ecosystem services contribute directly here to the attractiveness of cultural landscapes. SAVE Foundation, for example, strive to halt and reverse the trend of genetic erosion of agrobiodiversity, the biodiversity in agriculture. In times of climate change the living conservation of agricultural biodiversity is essential, since their broad genetic spectrum allows adaptation to changing environment. Preserve agrobiodiversity in Europe through local breeds and varieties are well adapted to their environment and need little or no nutrition supplements appears to be relevant hence their ecological footprint is generally better than in the modern high-yielding breeds and varieties. BERAS promote a genuine ecological alternative for a good environmental status of the Baltic Sea, and establish ecological recycling agriculture (ERA farms) in intensive agricultural areas and thereby reduce input of nutrients and pesticides to the Baltic Sea. Within HERCULES project, links between biodiversity index and landscape features were studied. A biodiversity plot index was established on questionnaires developed for each landscape structure. 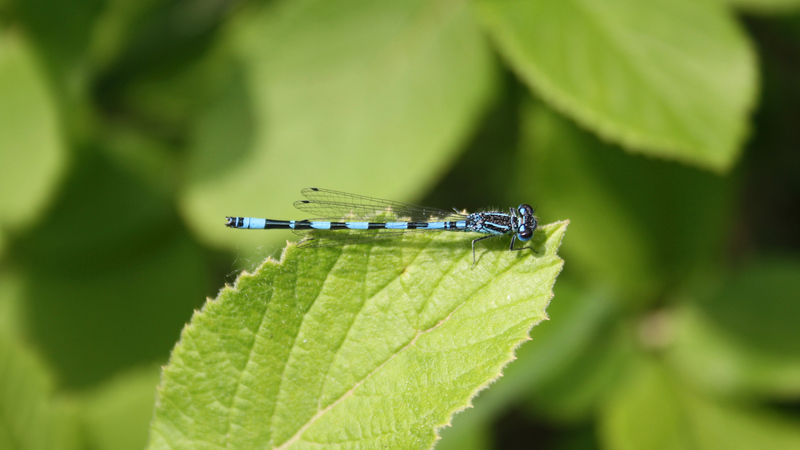 The resulting index was correlated with a range of flora and fauna inventories (insects, including dragonflies and moths, amphibians, and birds). The results show no significant correlation between the value of the index on different plots and flora and fauna richness, but appear to show correlation between the diversity of landscape structures and flora richness. Functional biodiversity studies demonstrate that landscape features are of ecological interest when they represent all together at least 20% of the surface and landscape complexity is recognized when they reach minimum 30% of the surface.Our new Landscape Ecological Diagnostic aims to be a valuation model that could assess biodiversity on cultural landscapes, with an “eco-anthropological” approach using the functions of landscape structures, to qualify site biodiversity load and serve sustainable land use management. This action is part of a coherent set built on the animation based on several working groups, each covering specific themes, and resulting in the creation of an action program. At wider scale, the project on the Nervion River banks, Spain, aims to regenerate the landscape associated with the river and promote ecological connectivity between different cities through which the river. Nervion river is located in a valley of a region with hilly and mountainous terrain, resulting in a concentration of industrial land and urban infrastructure in the flat areas. The project was implemented in several phases, with the development of alternative modes axis (pedestrian-cyclist) following the course of the river, and connected to the network stations. 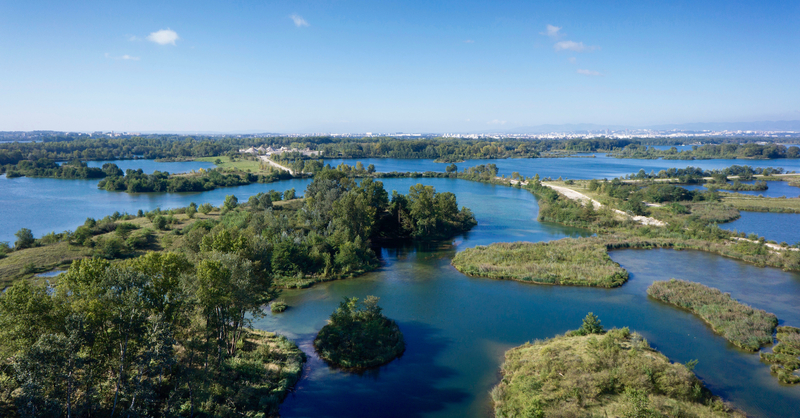 The aim is to regenerate the landscape associated with the river and promote ecological connectivity between the different cities where the river passes (E-CLIC Case Study # 32, Nervion River). Elsewhere in Europe, Sperrins Gateway develops walking trail and /or multi use trail like Ulster Way, Old Dublin road access, gate and pillars enhancement, including Moyola river access work with the Moyola Angling Club, Moorland habitat restoration works for the native red grouse at Lough Fea and grey partridge at Megargy, and Heritage skills programme restoration and conservation of small built structures (stone pillars, small lime kilns, milk stands etc.). The municipality of Colmenar Viejo has also created a dense net of walking and cycling paths all over the area that connect places of cultural and natural relevance with the village. Together with these routes there are many heritage restauration projects going on linked to the places that have been made accessible through the routes. And Grand Parc Miribel Jonage, other HERCULES case study landscape, is now a major step of Via Rhôna, a bike tour from Lake Geneva to France’s Mediterranean beaches ! ISO TR 37150 technical report reviews the community infrastructure along the lines of community functions described in table below. Basic functions of community infrastructure appear to support the other two levels, and cultural landscapes have a major connection to water supply, transportation, and to a lesser extent management of green waste. Water is at the origin of the history of the territory of the Grand Parc Miribel Jonage, which handles a great multiplicity of uses: it is especially a source of drinking water, and a flow area to fight against floods, which also led to the establishment of safeguards for the preservation of biodiversity, but also a raising, industrial activity with gravel extraction, that is disappearing today, and recreation place for eastern Lyon residents. Formation of the Grand Parc Miribel Jonage comes from the construction of Miribel channel to improve navigation conditions in the 1850s. After 1890 it was the turn of the Jonage canal to be built, enabling the creation at this time, of the most powerful French hydroelectric plant. From 1950, control of the Rhone river will allow to exploit the site’s assets: 3,000 hectares free of urbanization on the outskirts of the town, abundant and pure underground water, a favorable framework for economic activities and pleasant scenery. Created in 1968, the SYMALIM (joint association for development of the Grand Parc Miribel Jonage) gradually acquires land and plans development at a steady pace, allowing the creation of large bodies of water for recreation. In 1988, an emergency pumping station is created in the main lake, so that the metropolitan area has an alternative source of drinking water. According to Cerema, « sanitation devices may constitute amenities opportunities conducive to the development of biodiversity and diversification of the urban landscape… ». These adjustments may be composed of a mosaic of environments such as ponds, swamps, ponds, wet meadows. In well-designed operations, residents can rather perceive recreational aspects and improvements of their living environment than water treatment feature. Park San Vicens, created in 2009 from a local consultation process, is thus an excellent example of pooling uses with the provision of public scenery in a storm water management dedicated lake. It contributes to actions for climate change adaptation in the city of Perpignan urban nature development plan. Although of recent design, it now has a relatively mature aspect considering tree and shrub wealth. The choice of Mediterranean species is favorable to local biodiversity, as well as the presence of the basin and a flood meadow mown once a year. The primary purpose of the site is to provide an outlet for rainwater in the city. To address the complexity of water management in the Mediterranean environment, with an oscillating water regime between period of summer drought and autumn floods, bias has been to rely more on the resilience of the site that resistance. The hydraulic device consists of a holding tank of rainwater, completed by a flooded meadow in heavy water. The device appears to work very well. But first of all, this green area of 6.5 ha is a place for intergenerational urban nature services (playground, jogging path, shaded areas, pool, picnic area, areas accessible to bikes …). Pontoons and walkways wooden path of the San Vicens Park are accessible to people with reduced mobility. In addition, decks are locally produced, using larch., and from timber production to sawmill, all gateways were provided locally. Moreover, during the creation of the park and ponds, all the materials were reused on the site, to frame views and form different moods. Safety and security are poorly addressed issues in cultural landscapes. In urban areas, green space are recognized to play a preventive role, reducing the occurrences of assault and domestic violence (Schellenbaum Lovasi, 2008). Safety, however, proves a theme apart, for nature vehicles an imaginary in which it is still seen as a source of danger. Paul Gobster identifies six interrelated « human dimensions » associated with studies of green and blue frames: cleanliness, naturalness, aesthetics, safety, access and appropriateness of development. The dimension related to safety is expressed through two aspects for stakeholders in rivers edge: “physical safety – children at risk of falling into the river, health concerns result about direct physical contact with polluted water; and personal safety – the river as a hang-out for young gangs engaged in criminal activity, a place for drinking and drugs use, and as habitat for the homeless”. “There were considerable differences in safety perception across the corridor. In one stretch youth gangs were prevalent and limited the use of some of the sites. In other reaches, respondents were concerned about having an accident” (Gobster, 2004). The issue of public safety arises permanently in large parks, sometimes with a choice between more extensive maintenance for biodiversity, and the need to maintain visibility for the safety of all. Ecojardin standard integrates public information criteria, including general information (emergency phone number), educational information, and temporary information, such as work in progress, to warn users of upcoming changes and their reasons. Regarding public safety, the two main considered points are the periodic verification of playgrounds, and tree health diagnosis, at least twice a year, to make adequate decision for their conservation or not, based on risks evaluation for the public. This contradiction between safety and biodiversity in cultural landscapes is even more present in schools. Potential concerns of parents about the dangers include those associated with the introduction of wildlife that requires management. The question of the safety of schoolyard gardens is complex, but the example of forest school in the Mersey Forest Plan shows that there is a need to fight against the growing alienation of children from the natural world, and increased risk aversion in society. Thus the issue is one of the most difficult to illustrate with health and care. Indeed, if it can be shown that cultural landscapes contribute to the well-being and public health, bottlenecks remain, related to a security vision that addresses nature as a source of danger, either in terms of health with the fear of harmful plants, animals, or water features, or in terms of safety as outdoor activities are perceived as riskier, especially for children. The demonstration that long-term benefits, including prevention of health risks, climate events, and of major risks such as floods on wider scale, are to be balanced with short-term risk and would therefore need further exploration. Facilitating access to cultural landscape, as living and working environment, supports fair and equitable access to a high quality of life and working conditions that match the needs and expectations of interested parties (ISO 37101). Farmers, landmanagers are providing ecosystem services including scenery, environmental services, or services for recreation activities. One of the Grand Parc Miribel Jonage mission is to facilitate access to those, in particular for people who might otherwise not have the means to access them. Thus, it reinforces its recreational facilities with for example, the renovation of three beach portions on the Atol’ sector dedicated to public enjoyment, and organizes, from spring, several events in new educational environmental center L’îloz’, around the discovery of the river Rhône and associated natural areas, on vegetable growth in the local garden, and on wild food discovery. Cultural Landscape Day organized in Grand Parc Miribel Jonage was also a nice way to address public participation with many game for children, craft workshops, story telling and musical happenings. In Edessa, establishing green corridors contributes to a positive living and working environment. Participation of local people has been productive throughout the planning and execution of the project, to discuss uses of the three main city channels, one dedicated to art and culture, the second devoted to nature, and third dedicated to history. The master plan uses the old ways and traces (canals, green corridors) of the existing natural landscape with consolidation of the three main routes of the city, and their links with public spaces. Channel A is dedicated to art and culture. The main objective of the design was to create a journey along the particular gateway that promotes cultural and artistic character of the city. This was achieved by a mixture of traditional installations and creation of modern art by involving local artists to the focal points on the course. Channel B is devoted to nature. It was meant to create a new linear urban park that celebrates the richness and natural beauty of the area, recreation and education being strengthened along the walkway. This was achieved by preserving the existing natural character of the channel and by replacing existing hard materials (asphalt, cement) with local granite and materials respectful of the environment, to minimize the impact of the city of Edessa. Channel C is dedicated to history. A bridge was fitted with a series of exhibition items and installations, which displays the history of Edessa (city in water). This path leads to the waterfalls of Edessa, which are key historical monuments. The design reflects the dynamism of water, preserving the existing natural character of the channel and designing flowing lines along the route of the canal or equipment (eg waving metal railings …). « During consultation phase project many acceptability problems were encountered, particularly from the shops (shops moving, pedestrian areas, parking restrictions, …). Furthermore, the implementation and management of a new sustainable planning model raised doubts and questions as to whether the behaviors were willing to change and have to agree a new set of rules. However, this project demonstrates a growing awareness among civil society, private organizations and public authorities of the value of landscapes, and the ability to mobilize the active participation of stakeholders to assist in the identification and landscapes valuation » (source E-CLIC Challenge Learning Innovation Cooperation). Culture and community identity are essential to preserve lifestyles, including intangibles such as practices, know-how, languages, spirituality and customs, while allowing or even encouraging the evolution of heritage and traditions (source ISO DIS 37101). European Heritage Days were held in september 2014 on the theme « Cultural heritage, natural heritage ». HERCULES was part of this theme with the organization of events in each of the five program areas of study. For example, in Modbury, South West Devon, a trail was organized to reconnect people to the land through a discovery of heritage trees. All other Cultural Landscape Days organized through HERCULES shall be reported in deliverable D8.4. Kodavere, other SL in Estonia is a part of Sibulatee (Onion Route), which is a set of tourism enterprises situated by Lake Peipsi. The name of it comes from the traditional vegetable gardening of the locals. Growing onions and garlic (also other vegetables) is traditional in Kodavere area, especially on the shores of Lake Peipsi. This is mostly done where grain cultivation is impossible by Russian Old Believers, a distinctive group of people by Lake Peipsi. In Colmenar Viejo, there are three main festive traditions that date back to the middle ages, and that are anually organised by the municipality in close collaboration with the local community. The first one is the anual pilgrimage to a rural chappel, which is one of the main identity icons for Colmenar Viejo’s inhabitatns (religous or not). The other two are linked to pagan traditions to wellcome the spring session and to remember the wild stock farming past of the village. These three traditions have a very strong relation with the cultural landscapes of the area, and are very important to foster the sense of place and community for the people living in the municipality. Sperrins Gateway Landscape Partnership brings communities together to create a shared vision for the conservation and management of Sperrins landscape and heritage. It helps around 20 projects, and develop a high quality, integrated, sustainably managed and well-utilised walking trail network, including an audio trail, that enhances the health and well-being of local people and visitors by providing improved access throughout the Sperrins Gateway. These trails enable people to appreciate the distinctive heritage features and character of the Sperrins Gateway landscape through increased access and interpretation and encourage an improvement to health and well-being through outdoor recreation provision. SAVE Foundation link agrobiodiversity to identity and part of the local culture. Agrobiodiversity is not only an essential part of biodiversity, but also an essential instrument for rural development in marginal areas, especially in areas of special environmental value like traditional Agro Eco Systems (TAES). In those areas, conservation of Agro-Biodiversity is an option for the local people to improve their income and for sustainable landscape management. ‘ENtopia – Our Places in Europe’ was presented during HERCULES 2nd EU level workshop, and is a European project promoted by Europa Nostra to solicit applications and participation from smaller towns and villages across Europe with the aim to define a “Future Vision for Sustainable Settlement” and to implement qualitative norms for good places to live in and enjoy. This project is not an “Award Scheme” but rather an “Incentive Scheme” which seeks to encourage and endorse smaller towns and villages and their local authorities and communities to work towards their sustainable futures through identifying and celebrating their cultural and environmental qualities and assets. There are many other examples that are figured on the knowledge hub, thus heritage landscape approach appeared to be very consistent with the recognition of cultural and identity services.